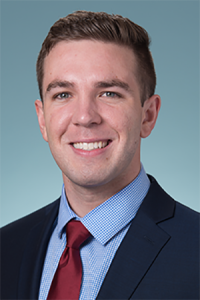 Orlando, Fla. – Crossman & Company welcomes Stephen Slovenkay as their Leasing Analyst to its Orlando team. Stephen will join Crossman & Company with four years of sales experience. He most recently worked as a Sales Associate for Gibraltar Real Estate Services, where he was responsible for preparing representation contracts, purchase agreements, closing statements, assisted clients in negotiations and conducted comparative market analyses. Stephen is a licensed Florida Real Estate Sales Associate and has a Bachelor of Science in Business Administration – Finance from the University of Central Florida.